Alessandro and Giancarlo Bontempi, after gaining experience and expertise in metal handcrafting techniques, establish MOBILFER. Encouraged by the successful results, they increase facilities and introduce significant innovations, that boost their business. The opening of the current headquarters based in via Direttissima del Conero in Camerano-Italy takes place just in that year. The BONTEMPI CASA brand is born, and the new tables, chairs, stools, coffee-tables collections are launched along with that. The continuous improvement of quality standards for products and manufacturing processes, enabled Bontempi Casa to establish a plant for galvanic treatment, in order to provide its clients with a special lifetime guarantee on chromed and gold plated iron beds. 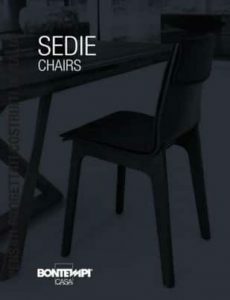 Oscar of Design Compasso d’oro to the Delfina chair. The almost obsessive pursuit of design continues, the cutting edge technologies used become more and more, ergonomic solutions are developed due to specific R&D, care for every single detail, environment respect, the high level of customizable design…that is the way to found BONTEMPI CUCINE. Launching the new collection DESIGN BEDS, with a strong research for design and comfort. Launching the new collection INGENIA CASA, to promote a young design and meet the modern furnishing needs. Encouraged by the great results of the beds’ collection, focused on perfecting technologies and manufacturing procedures, BONTEMPI SOFA was developed. 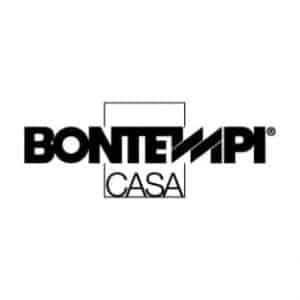 NEED MORE BONTEMPI CASA INFORMATION ?